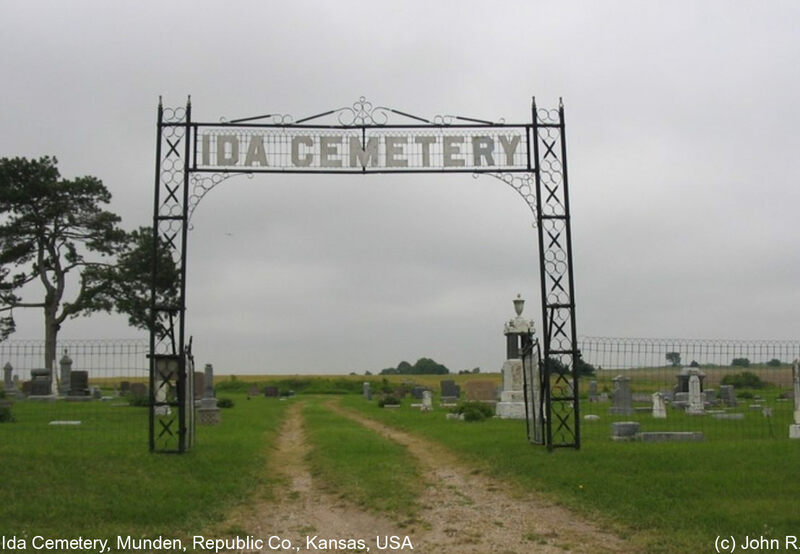 Ida Cemetery is located 1 mile N, 2 miles E, and 1/2 mile N of Munden Kansas. It is located in section 25 of Rose Creek Township. Munden is approx. 5 miles E and 7 miles N of Belleville.